I'm putting my 1998 on a diet this winter & plan to run test pipes & a lighter exhaust. The problem is two of the venues I run have noise restrictions (90dB@75' and 94dB@50') and I've heard the typical 986 systems with test pipes are well over those limits. Is anyone running a lightweight exhaust setup that can get under these noise restrictions? For 90dB, I run the test pipes and the stock muffler. For 94dB, I run the test pipes and the Top Speed Pro 1 or equivalent eBay muffler (which is quite a bit lighter than the stock muffler). When it comes to sound levels, your mileage may vary. Its basically a cat bypass setup. Yep, that's the setup that should pass 90dB. In Germany we have another exhaust system. That has only the rear 400 cell catalysators and no catalysators at the manifolds. Pretty shure that there are differences how the noise is measured in Germany and in the US. In general a US stock exhaust is louder than a EU stock exhaust. I can't imagine it would be. For 986 in UK like most of Europe you just have the rear cats and the same single box design exhaust. I have recently swapped back to the standard 400 cell cats from 100 cell ones and whilst yes it is quieter I would expect another pair of cats in the system would dampen the sound a lot more. 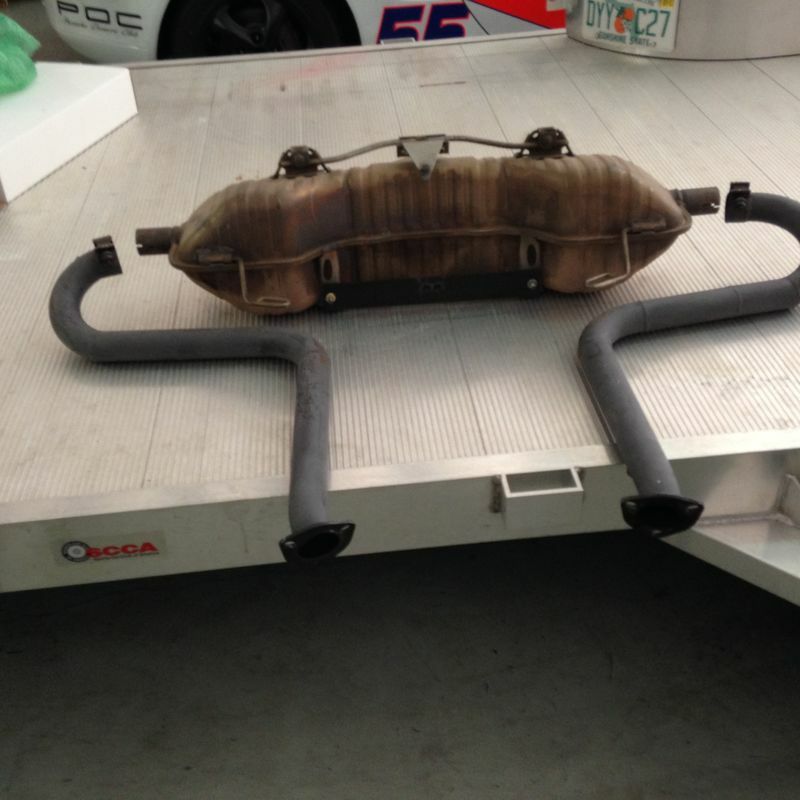 The US / export mufflers are different to the EU mufflers. They also have another part number.